The Cow-ntdown is on! Troma Entertainment is proud to announce that it will be releasing “Mad Cow” (the film) worldwide. Co-Produced by Jason Rogan and Doug Marschke and co-directed by the team of Michael Wright and Michael Rix, “Mad Cow” was shot over 12 days in the heat of the South African Summer. 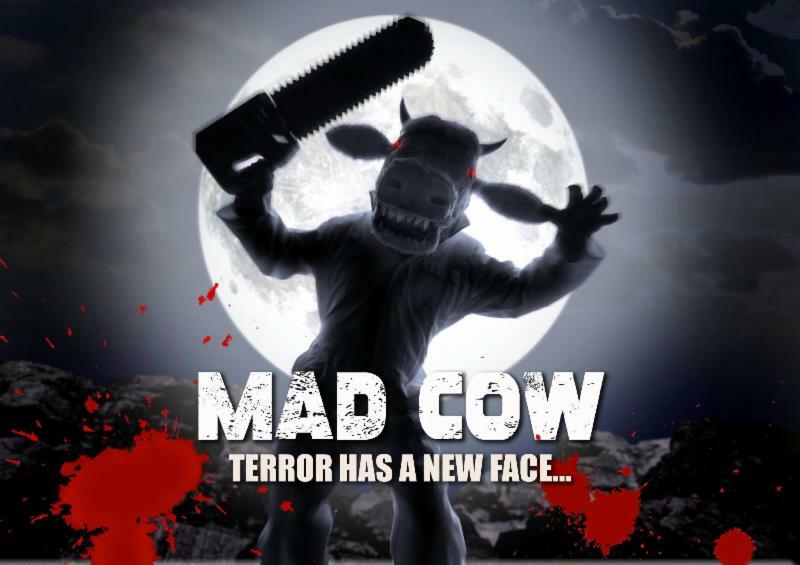 Starring Tanya van Graan (Death Race 2 and Lost Boys: The Thirst) and Greg Viljoen about a chainsaw-wielding homicidal heffer, “Mad Cow” raises the steaks in horror and comedy. “Mad Cow” premiered at the Cannes Film Festival causing quite a commootion. It screened in front of a Sold Out audience having to turn some people at the door leaving one audience member in tears. When the theater ‘herd’ a second screening was added immediately. “Moove over World War Z” says Matt Manjourides, head of Troma Team Video. “Mad Cow” is coming and we udderly can’t wait to bring it to you. Steer on over to www.troma.com for more news in the upcoming weeks on “Mad Cow” – From Troma, of course! This entry was posted on Tuesday, July 8th, 2014 at 11:49 am	and is filed under News. You can follow any responses to this entry through the RSS 2.0 feed. You can leave a response, or trackback from your own site.